Recover deleted files from memory cards. 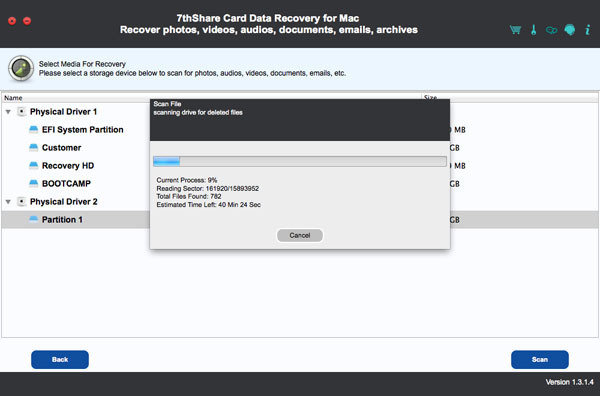 Is there a better alternative to 7thShare Card Data Recovery? Is 7thShare Card Data Recovery really the best app in Storage category? Will 7thShare Card Data Recovery work good on macOS 10.13.4? 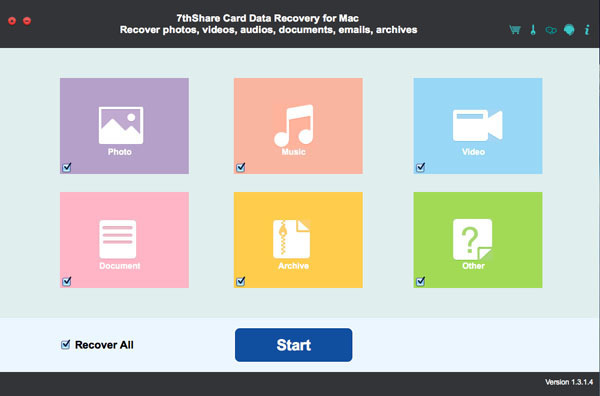 7thShare Card Data Recovery is a comprehensive Mac SD Memory Card Recovery software to recover any data including audio, images, movie, office documents, PPT presentation, business contracts and more from SD Card on Mac. Also, this Mac Card Data Recovery provides the ability to recover deleted files from internal/external hard drive, digital camera, memory cards, USB drives, pen drives and other storage devices. 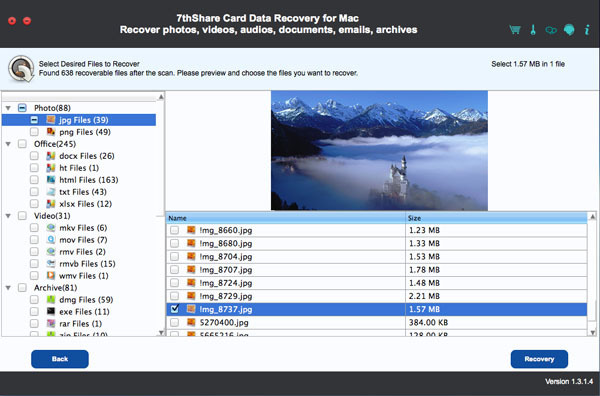 With the help of 7thShare Mac Card Recovery, you are able to restore lost files due to accidental deleting, formatting, virus infections, unexpected power failures, and other common causes of data loss. 7thShare Card Data Recovery needs a rating. Be the first to rate this app and get the discussion started! 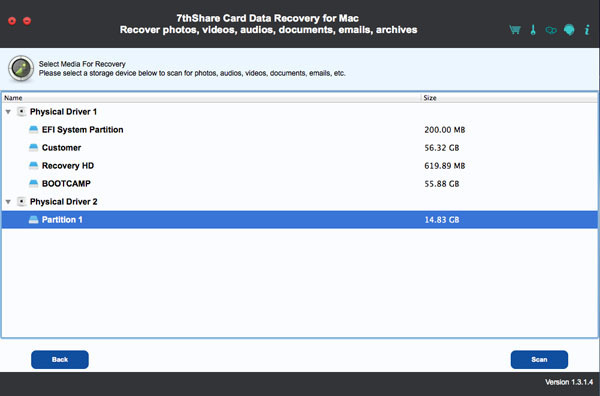 With the help of 7thShare Mac Card Recovery, you are able to restore lost files due to accidental deleting, formatting, virus infections, unexpected power failures, and other common causes of data loss. Whether you're scanning an SD Card or external hard device, this works quickly. Just choose the item you want to scan to get started, and then let the program do the rest.